Eastman Kodak is using blockchain technology to create a new platform for digital photography with its own native cryptocurrency, KODAKCoin. Additionally, the company has showcased its brand new bitcoin mining machine called Kodak Kashminer at this year’s CES tech show in Las Vegas. 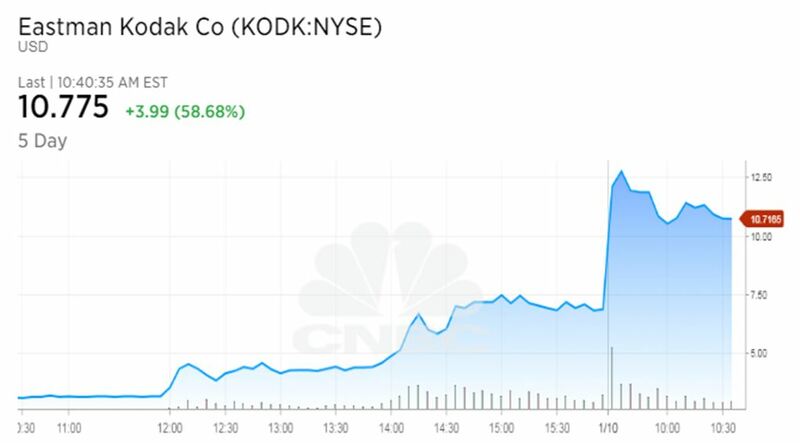 News of Kodak’s blockchain, cryptocurrency and bitcoin mining plans have driven the company’s shares up more than 240%, from $3.13 before the announcement to $10.70 on Wednesday. After missing the digital photography train – a technology they developed but failed to market, Kodak emerged from bankruptcy in 2013 with plans to focus on commercial printing. But it still struggled to regain momentum. Now, the 130-year-old photography pioneer looks to rekindle previous glory by pivoting into blockchain technology, cryptocurrencies and bitcoin mining. Eastman Kodak has announced the launch of the KODAKOne image rights management platform and KODAKCoin, a photo-centric cryptocurrency designed to empower photographers and agencies to take greater control of their image rights. According to the press release, the KODAKOne platform will rely on blockchain technology to create an encrypted, digital ledger of rights ownership for photographers to register both new and archived work that they can then license within the platform. KODAKOne is being developed in partnership with Wenn Digital. “For many in the tech industry, ‘blockchain’ and ‘cryptocurrency’ are hot buzzwords, but for photographers who’ve long struggled to assert control over their work and how it’s used, these buzzwords are the keys to solving what felt like an unsolvable problem,” Kodak CEO Jeff Clarke said. The KODAKOne platform will search the internet for unauthorized use of images registered within the system, the company said. Moreover, participating photographers will receive payments for licensing their work immediately upon sale, with KODAKCoin. “Engaging with a new platform, it is critical that photographers know their work and their income is handled securely and with trust, which is exactly what we did with KODAKCoin,” WENN Digital CEO Jan Denecke said. KODAKCoin will be released as an ERC20 token on the Ethereum Network. 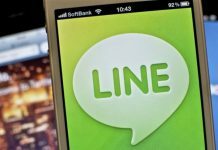 However, the company stated it was exploring launching a proprietary blockchain. 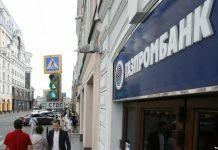 “We are using Ethereum Smart Contracts, but we’re also developing our own proprietary blockchain and will evaluate the optimal solution during development,” the company said. The KODAKCoin initial coin offering (ICO) will open on January 31, 2018. Issued under SEC guidelines, the KODAKCoin ICO will be open to accredited investors from the U.S., UK, Canada and other select countries. Kodak shares have more than tripled since the company announced KODAKOne and KODAKCoin. Around $3.13 before the announcement, the shares closed at $10.70 on Wednesday, having edged up more than 240%. At press time, Eastman Kodak’s market cap was at $289.48 million. Pivoting into blockchain technology and cryptocurrencies has become a way for companies to rehabilitate their images and boost their share prices. A small natural resources mining company saw its share price jump 3000% in December, when it announced it was shifting from digging for precious metals and minerals to mining cryptocurrencies. Shares of Long Island Iced Tea Corp. doubled after the beverage company changed its name into Long Blockchain Corp., in December. Biotech equipment company Bioptix got a similar boost when it changed its name to Riot Blockchain last year. 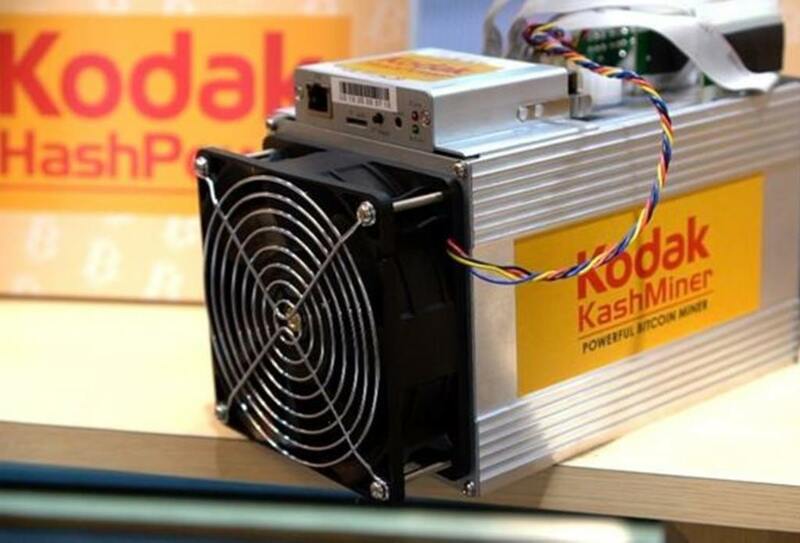 For Kodak’s crypto pivot to be complete, the 130-year-old industrial company launched a bitcoin mining rig called the Kashminer. The machine was showcased at this year’s CES tech show, in Las Vegas. The mining operation will be run by Spotlite, a licensee that had previously marketed Kodak-branded LED lights. Kodak plans to install rows of Kashminer bitcoin mining rigs at its headquarters in Rochester, New York. Taking advantage of its on-site power generating plant, the company says it can power each rig for four cents per kilowatt-hour — three times lower than the average prices across the U.S.
Clients pay approximately $4,000 to rent a Kashminer for two years, and the bitcoin generated is shared between the customer and the business. According to Spotlite’s Halston Mikail, Kashminer clients could earn a profit of $500 a month, at current BTC value. “At this time we have 80 miners, and we expect another 300 to arrive shortly. There is a big pile-up of demand,” he told BBC. However, since the bitcoin mining difficulty is currently increasing at a rate of 15 percent per month, Kodak and Spotlite’s calculations might seem a bit unrealistic. Even so, if the bitcoin mining difficulty gets out of hand, the Kashminer machines could always be switched to mining other cryptocurrencies. Cryptoren.com covers bitcoin, altcoins, blockchain technology and finetch, bringing you up-to-date news, analysis, features, guides, cryptocurrency streaming pricing data and charts.